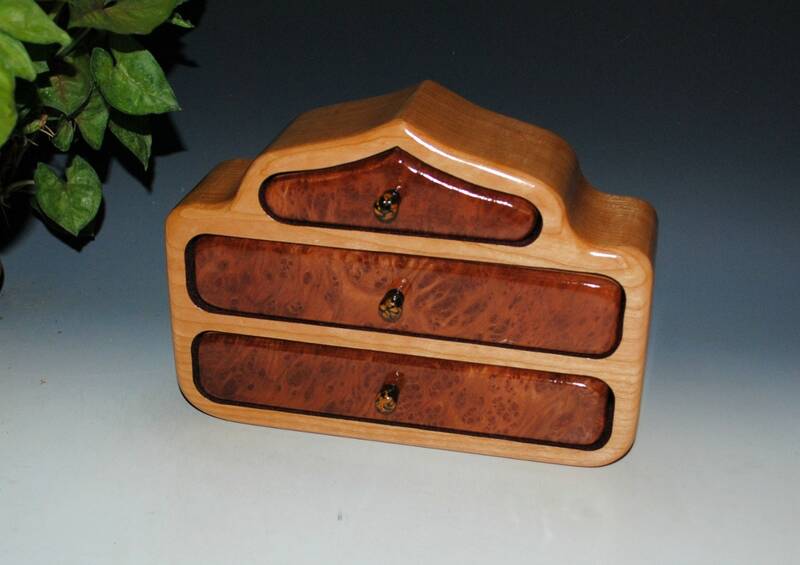 Handmade wood jewelry box in cherry with redwood burl by BurlWoodBox. 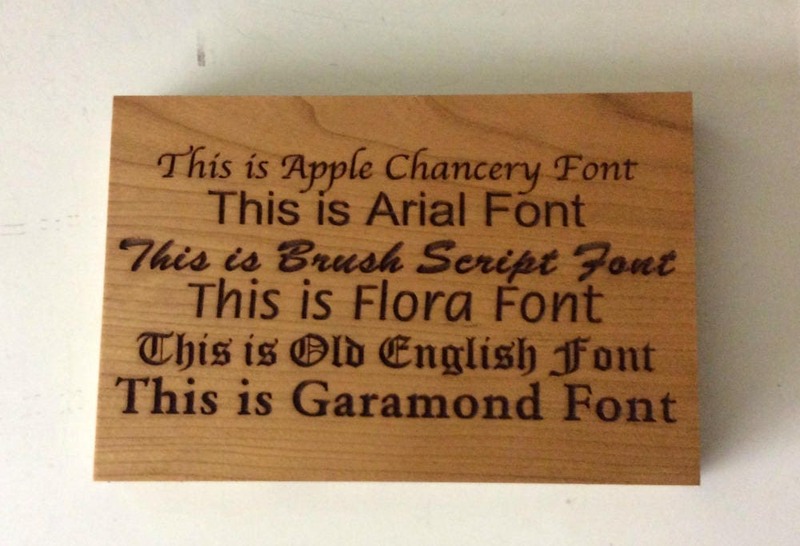 7.25" wide x 9.5" tall and total depth of approx. 2.5". 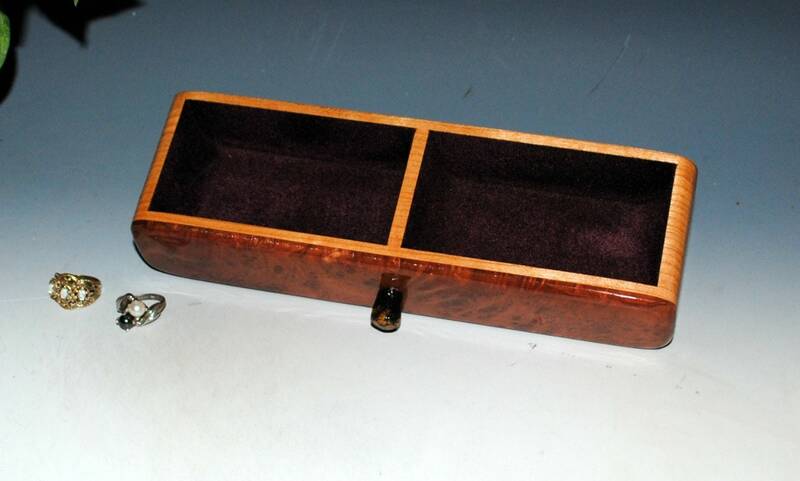 We call this style wooden jewelry box the Pagoda. 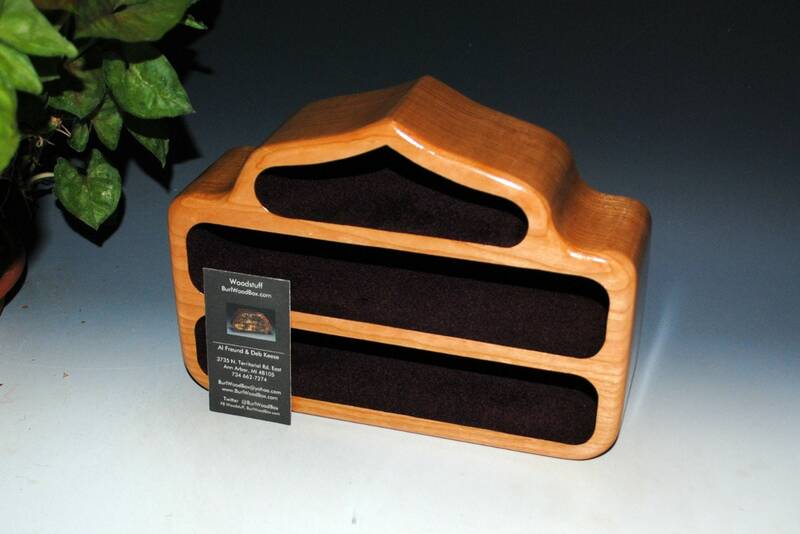 This style wooden jewelry box will make a great gift for many special occasions such as a birthday, graduation or anniversary. 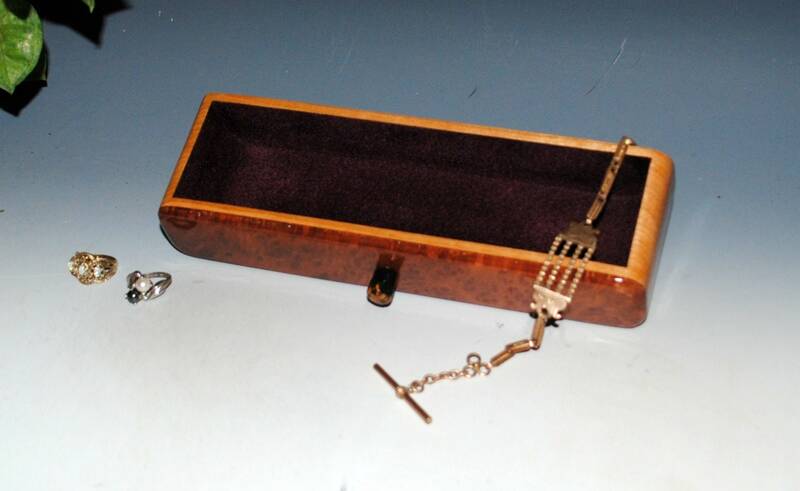 It can be used for storage of treasures other than jewelry. 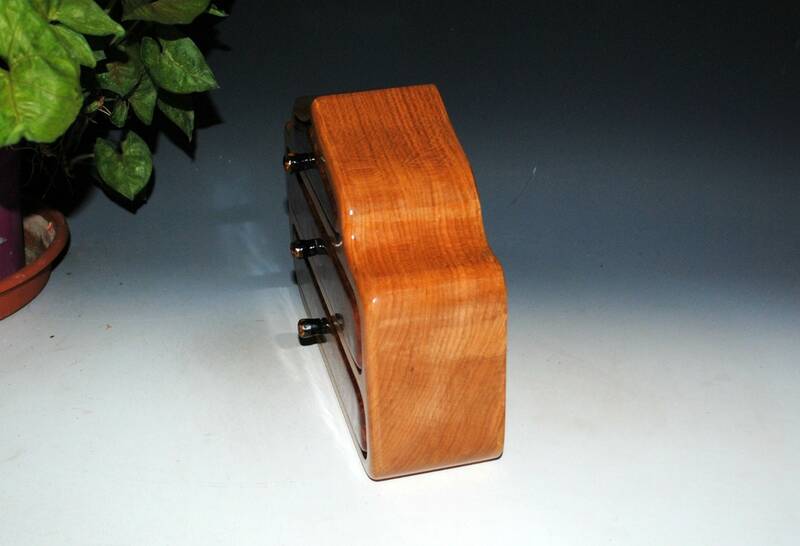 Sharper contrast in this smaller wooden jewelry box made of cherry and accented with slices of California Redwood Burl. 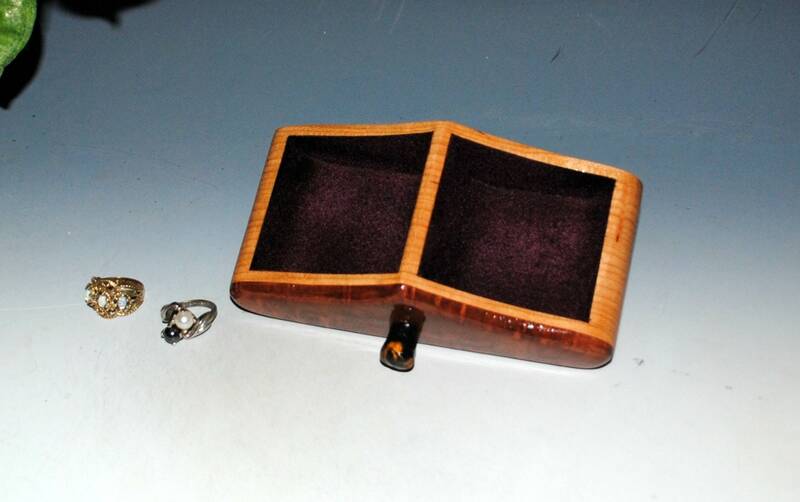 This is a very popular wood combination for the female gender. As always, no stains or dyes used. Hand-rubbed tung oil with hints of polyurethane in the undercoats for better sealing properties. Many, many coats are required to give "depth" to the piece. Knobs are brass but covered with my Monarch pattern of polymer clay. Just the right amount of bling without toooooo much extra added. Others please contact us for an exact shipping quote. 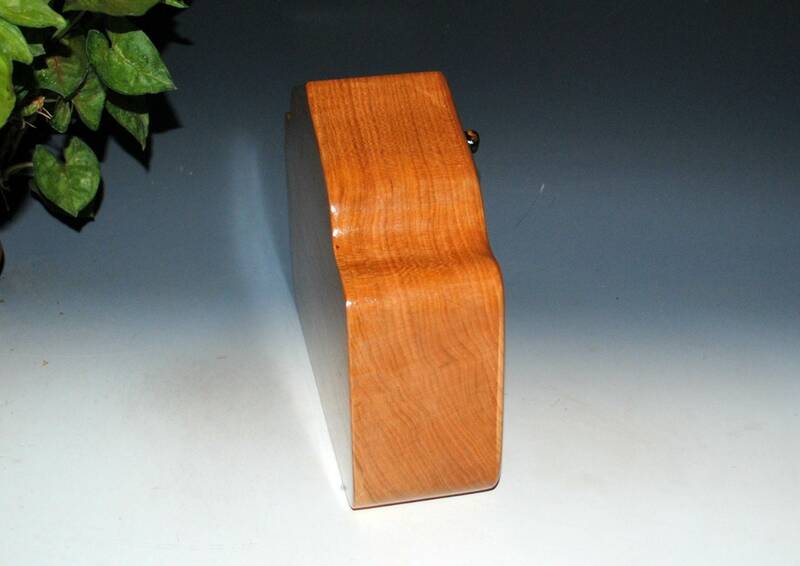 More of our more "arty" wood jewelry boxes can be seen in our Creative Box section, link follows. 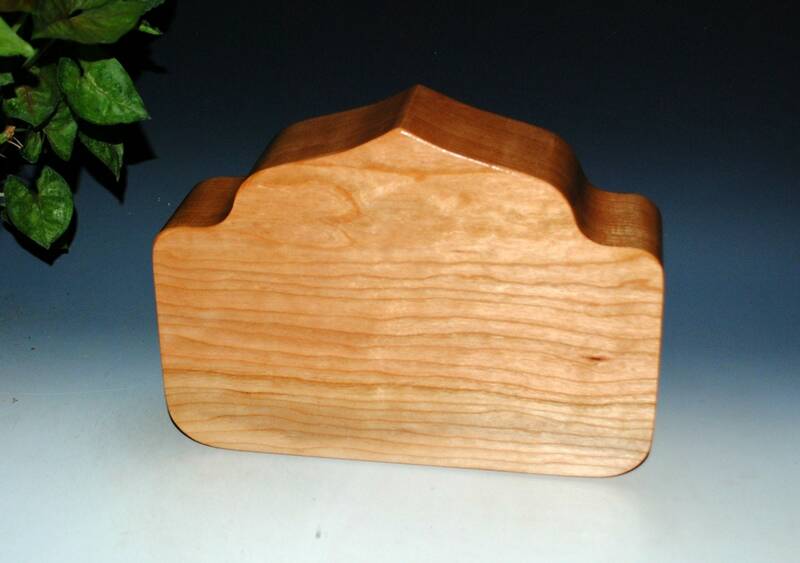 More styles of our wood boxes can be be seen at our main shop page, link follows.